A charitable gift annuity is a way you can make a gift to the Idaho Youth Ranch and receive fixed payments for life in return. The payments can begin immediately or can be deferred to a future date. 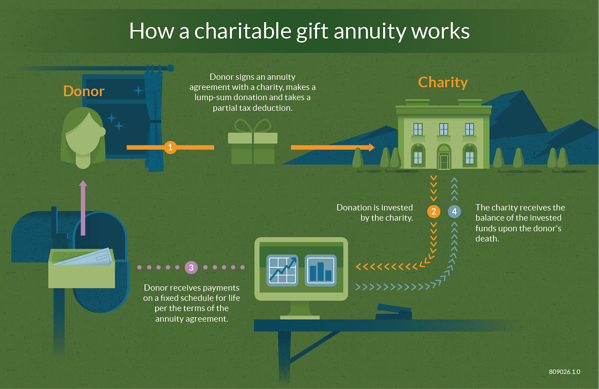 You may also establish a gift annuity for someone else; however, the total number of annuitants associated with anyone gift cannot exceed two. The terms of the arrangement are set forth in a contract signed by you and the Idaho Youth Ranch. When your life ends, your legacy begins as the Idaho Youth Ranch uses the remaining funds to help more of Idaho’s most vulnerable kids. If you have a passion helping for Idaho's most vulnerable kids and would like to learn more about specific ways you can help, one of our charitable giving professionals will be happy to schedule a one-on-one conversation with you.